I had no purses. Seriously, I had one purse a few months ago and that was it. 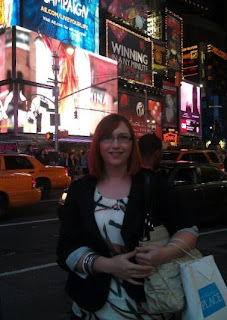 So, before I headed off to BlogHer this year, I went in search of some new purses that would be perfect for the trip. That is when I came across Miche Bags. If you have never seem them before, they come with a base and then you can buy interchangeable shells to go along with it. It is genius and saves you from having to empty out your purse each time you change looks. They also have a killer work from home opportunities if you are looking for a fun way to make money. "Being a Miche fan means never having to switch purses again—it's a beautiful thing! You put all of your essentials in just one bag and never have to bother with moving it all to a different purse each time you change your outfit. Imagine—you will always know where your favorite lipstick is! You start with a Base Bag—Classic, Demi, Prima or Petite—then add any one of our stylish Shells and you're ready for your busy day. Which "you" are you feeling like today? Fun? Flirty? Sophisticated? All business? No problem. You can give your Miche Bag the exact look you want in 3 seconds or less. Now that's instant gratification!" There are four styles of Miche base bags. I chose the largest, which is the prima, because I wanted something that was large enough to carry my DSLR camera, my iPad and other essentials as well. I was then sent two of their most popular new shells, the Farrah a tan faux snakeskin, and the Pat a beautiful sleek coral shell. I really didn't think I would like the Pat shell, but it turns out it is my favorite. I love the bold color and it is perfect for hotter months. It also goes with just about anything, which I had thought wouldn't be possible either. Using the Miche bags could not be easier. The base bag itself is soft and full machine washable. It slips easily into the shells and the attach at the tip with magnets. The whole process of switching shells takes no more than a few seconds. The shells themselves are of great quality and I used the heck out of them in sweaty New York and they are none the worse for wear. The material is great too. If you spill something, they easily wipe clean and I love the magnet at top that keeps the bag closed so no one can just reach on in. There are tons of great shells available. Some of my favorites can be seen above. I am currently drooling over the Parker and Donna shells. If you are looking for a different style purse, there are base bags and shells in three other styles, ranging from small to medium in size. I love everything about the Miche Bag except one thing. When I have the bag on my shoulder, one strap will often fall down repeatedly at times. Now, to be fair, this happens with other purses that I now have in this same style. I plan to remedy this situation by purchasing one long handle from their website and sing that instead. Did I mention you can remove and interchange the handles as well? The just clip on! You can purchase a Miche Bag in one of to ways. You can shop directly on the Miche Bag website, or you can find a representative in your area and purchase from them. You can even have a Miche Bag party in your home! Base bags start at $21.95 for the Petite Base and each shell starts at only $17.95 for the Petites and up to $49.95 each for the Prima Shells. One Life With 4 Boys reader will win a Miche Bag prize pack consisting of one Prima Base Bag and two Prima Shells. The shells will be chosen by the company and will not be the winner's choice. This prize pack is valued at $150. I have the same bag day in and day out. I'd love something more versatile. I'd love to be able to change the look of my bag without transferring the contents. I would love a new bag for fall! I love that you can change the look of it to what you need or feel like. I have never tried one, it would be great to win. I would like to try a Miche Bag because if I want to change my look on a specific day you can do it very easily without having to change out your whole purse I would love to try this! I have admired them for quite a while and love the concept. I love how you can change the look without having to "clean" out your purse! I have never heard of a Miche Bag before. Sounds like a very practical idea. I would love to have the flexibility of changing colors/styles for seasons and events. I love being able to change the look of your purse so easily! I think a Miche purse would give me more style options. I adore them and have always wanted one! I would love to have the bigger bag for all my... lets be nice and call it "stuff" - and to change the look in a snap! yay! I'm needing a more sophisticated bag for those special occasions! I would like to have a Miche bag so it would be easier to switch from one style/color to another. I am bad about carrying the same purse because it's easier than transferring all my "junk"
I love different looks but hate moving all my stuff from one purse to another. I want one b/c I have never had one. I have heard so many awesome things about Miche bags! I love how they are interchangeable! I would love this Miche bag...I've been looking at them but can't afford to buy one right now...my current pocketbook(a gift from my best friend) is almost 3 years old, its still in good shape but desperately in need of a change. I would love to have a Miche bag because there beautiful and I have never owned one. I buy purses too often. I think just replacing the shell would be more economical. I'd love to wi this bag because it is so versatile where you can change your bag without having to transfer all of the stuff I your purse to a different one. They are so cute, and I have heard such wonderful things about them and the great quality they are! The bags look classy and fun at the same time. The colors are really cool! What a great way to change your bag. I am always wanting a new bag for a new look. This would be wonderful. I'd like it because I have to be very conservative for work but would like to be more stylish for the weekend. This would make it quick and easy. My daughter N law has one and I would like to try one. They really look nice. I need a new purse and these are beautiful. I love the variety of colors and patterns and hate to change purses. I'd love to have more than one purse. Also, with miche I can change the look quickly. i would love to win because they look like such a great purse! I would love to be able to change bags that easy!! I would love to try the miche bag because I've never heard of them before, but it looks like it will be a good quality purse I can show off! These bags looks really nice. I'd love to have one. The styles are similar to what I have. I love to change my purses regularly - this is such a cool idea! I love the thought of being able to change my purse without having to dump all the insides! I would like to try a Miche bag because my current bag is really old and I love the versatility of the Miche bag! i love how you can change out the shells so cool! I love the versatility! No need to take everything out of one purse and into another for a new look. My mom, sister & aunt all own one and I love them! I'd love this bag because I hate having to clean out my important stuff from one purse and put it in another just to get a different look! This is a great idea. I would love to be able to change the bag without having to take everything out and put into another purse. This is a great idea - just change the skin. 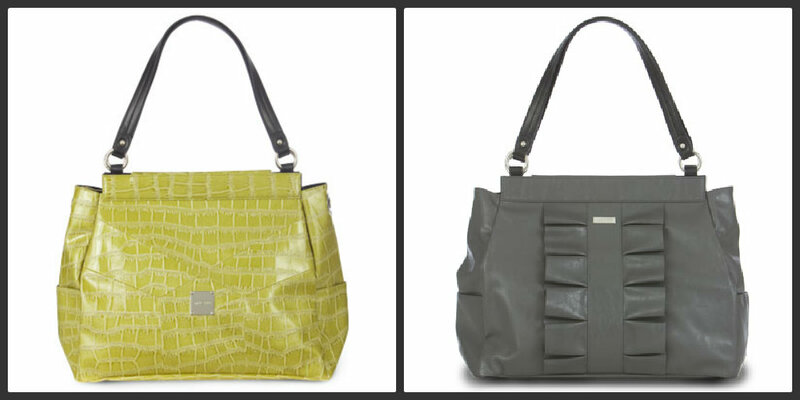 I would love to win a Miche Bag because I love the concept of changing the bag easily and the shells are gorgeous. I would love it, because I love the fact that cover changes, and not all the stuff kept in your purse. I love that I can change its look so easily. I like that the inside is machine washable. Now my purse is double duty for diaper bag too. It's perfect to change easily from daytime work to nighttime party! I would like to try one because I think it is really great all the different ways you can personalize it/make it how you want it...the right shell, the right handles etc. I would love to not have to empty my bag out in order to change my look! It would be awesome to have one and really would love to experience what everyone is raving about! I change purses constantly! It would be nice to be able to just change the outside in two seconds instead of having to transfer everything I carry into a new purse. I would love to try a bag because I hate switching purses and moving all my things. I usually forget something. I'm constantly changing purses to match my outfit and it is a pain in the neck. This would be great! I am always having to transfer my stuff from bag to bag. I would prefer to just switch shells. Love the idea of being able to "change" bags without the hassle! Just to be able to change your bag quickly to a new look to match whatever you're wearing. I'd love to try a Miche Bag because of the versatility. I hate having to change bags all of the time! I would love to try one, I love the look of these bags.. I love bags and I would like to try a "Miche Bag" just so I can say I have-not to mention that I can change the look of it without dumping the stuff out and putting it into a whole other bag. I would like to be able to change the look and love the different patterns and colors. I use Generic Bags from small stores and they dont last long! I would like to try a miche bag because i need a new purse, the inside of mine is all torn, and i like that it is interchangable, and it looks pretty, and is a great shape and size for me. bc i've never had a bag as nice! i want to try it out cause i barley have purses and in need of a new purse and i love this one! i would love to win because i feel like i am always switching up my handbag. I need a bigger bag.. I have a super small one. It seems like either one of my kids or my husband is always sticking stuff in it. I haven't had a new bag in years. My current purse is a hand me down from my mom. I am looking for a new bag and I would love to try the Miche bags. I love the ability to change my look easily. I would like to try one of these bags because the inner bag is machine washable. I want to try it b/c I love how you change easily change your look! I would like a purse that could go with anything. I've carried the same little black leather crossbody for years. A new Miche would be a treat. I've heard of them but never owned one. I like to change out my purse every once in awhile and it would be great to do so without having to empty out one to transfer all stuff to another! I would love to be able to change my bag out, without "changing my bag out".. I might actually be more in style...lol.. I love that they are interchangeable.